OEM toner for Canon® ICD-M4150, MF4270dn, MF4350d, MF4370dn, MF4690. Compatible laser cartridge for Canon® Faxphone L120, imageCLASS MF4150 produces 2,000 pages at 5% coverage. 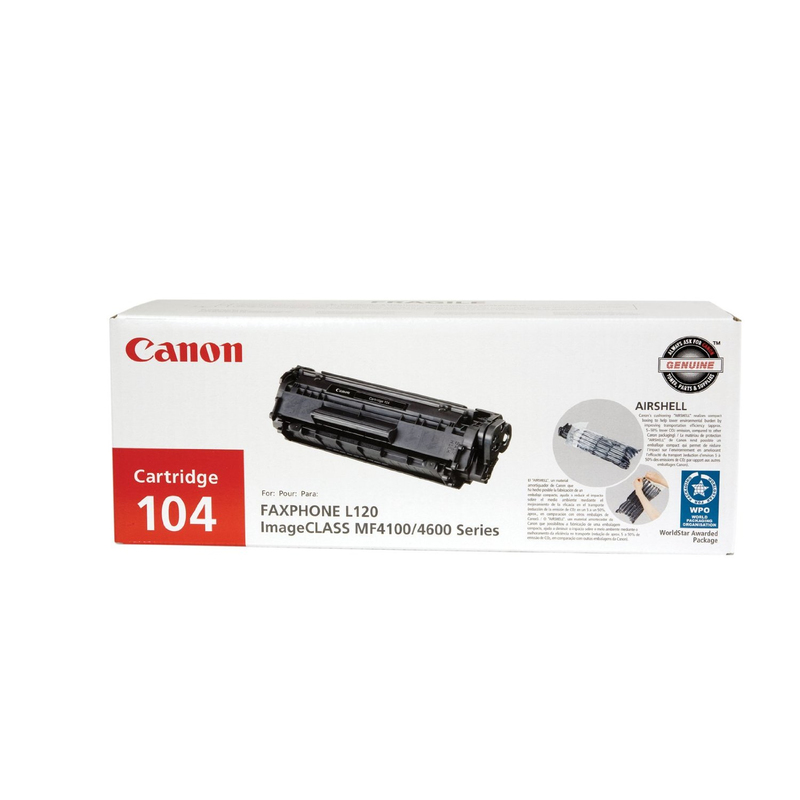 104 Premium Canon Compatible cartridge produces brilliant output while delivering significant savings to your bottom line. High quality results are visible on every page. Expect OEM performance while avoiding OEM costs with this compatible cartridge. Device Types: Fax; Laser Printer; OEM/Compatible: Compatible; Page-Yield: 2000; Supply Type: Toner. All cartridges are dependable and reliable. Creates visually dazzling documents. Simple, easy replacement translates into less downtime and more productivity. Device Types: Laser Printer; Color(s): Black; Page-Yield: 2000. Compatible cartridge produces brilliant output while delivering significant savings to your bottom line. High quality results are visible on every page. Expect OEM performance while avoiding OEM costs with this compatible cartridge. 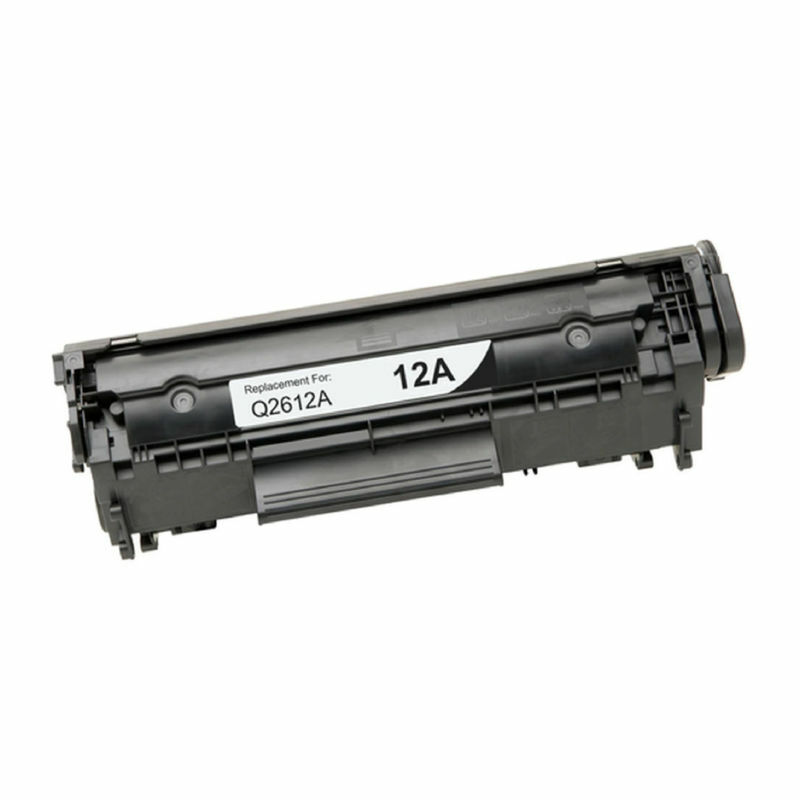 Device Types: Fax; Laser Printer; OEM/Compatible: Compatible; Page-Yield: 2000; Supply Type: Toner.